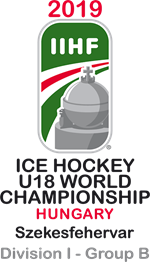 Great Britain U20s thrashed Korea U20s 13-1 in their second game at the Under-20 World Championship Division II Group A in Tallinn. GB were beaten 6-4 by top seeds Lithuania U20s yesterday, but bounced back with a very convincing first victory of the tournament. Chad Smith and Josh Waller scored hat-tricks while netminder Jordan McLaughlin turned away 22 of the 23 shots he faced. GB scored two goals inside the first five minutes, 80 seconds apart, to take control of the first period. Waller went top shelf after a feed from behind the net from Liam Kirk at 2:47, before a good move up the ice saw Mac Howlett set up Smith who fired backhand through the five-hole (4:07). Kirk hit the post at the halfway point of the first period, while Smith netted his second of the game when he reacted first to a rebound after initial good work from Howlett (11:05) – and Korea made a netminder change at 15:16 when Tae Kyung Kim replaced Sangwon Bae. Britain scored five goals in 10 minutes in the second period to underline their total dominance. Cade Neilson set up Morgan Clarke-Pizzo to score from close range at 23:54 and less than two minutes later, silky skills on the doorstep from Jordan Buesa made it 5-0 on the powerplay at 25:39. Kirk and Kieran Brown combined well to feed Waller out in front (30:26) and Jordan Kelsall’s face-off win enabled Tyler Cooper to beat his man and score on the backhand (32:23). Brown then got on the scoresheet with a rocket from the right circle at 34:10 (powerplay) as GB led 8-0 at the second intermission. Smith completed his hat-trick 76 seconds into the third period on the rebound after great work from Howlett (41:16), before Korea got on the board when Beomjun Park finished off a well-worked move (45:03). Waller’s hat-trick goal arrived after a great pass from Brown (46:17) as GB hit double figures and Brown scored his second 16 seconds later (46:33). Neilson then fed Mason Biddulph at the backdoor (52:27) and Brown skated behind the net to set up Liam Kirk on the doorstep for his first goal of the tournament (53:53). 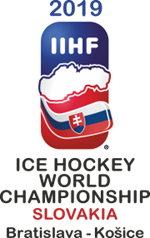 There are no games in the tournament tomorrow and GB return to action on Wednesday when they face hosts Estonia at 8pm (6pm UK time).